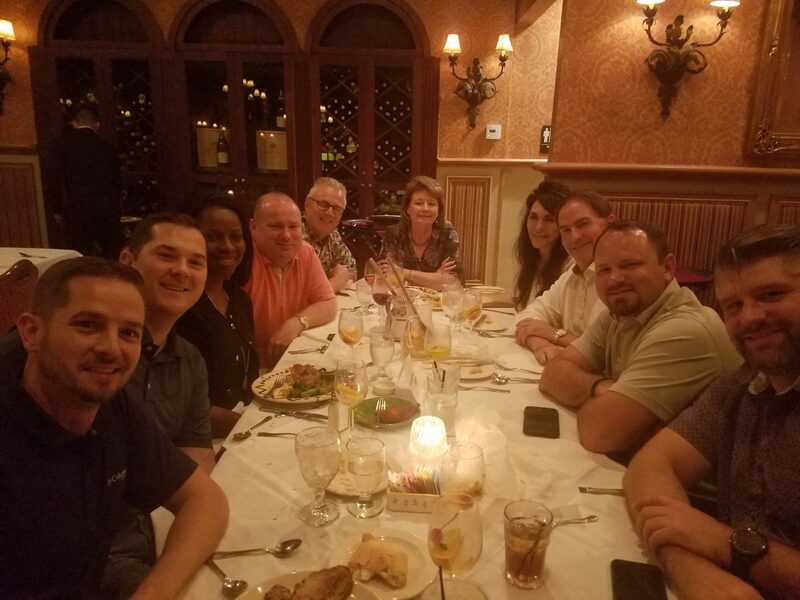 Thanks to our friends at Fomcore and Interior Concepts for a couple of great nights on the town in Tampa during EDspaces. 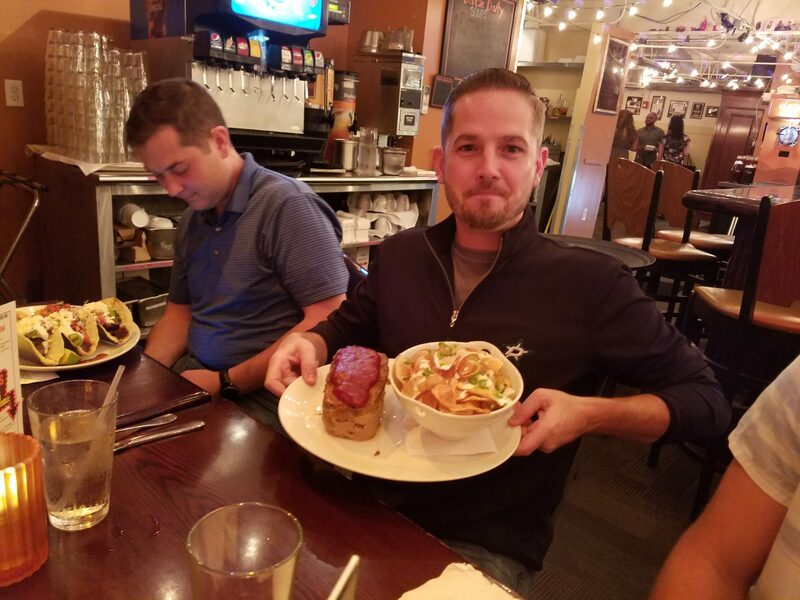 Orange Crush! 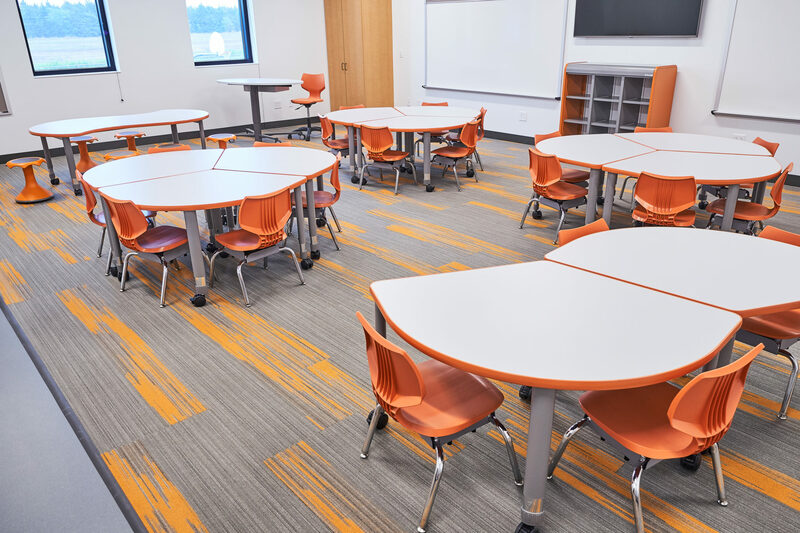 This Kindergarten classroom features Smith System Squiggle & 3-2-1 tables, Flavors height adjustable stool & Noodle chairs, Cascade mobile Cubby, and a VS Rondo-Lift height adjustable teacher table & Hokki stools. 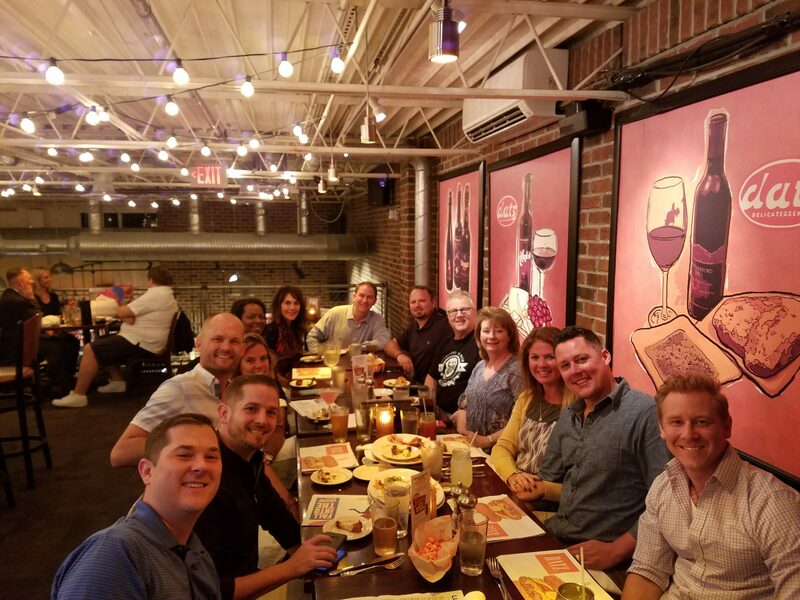 Coffee and collaboration. 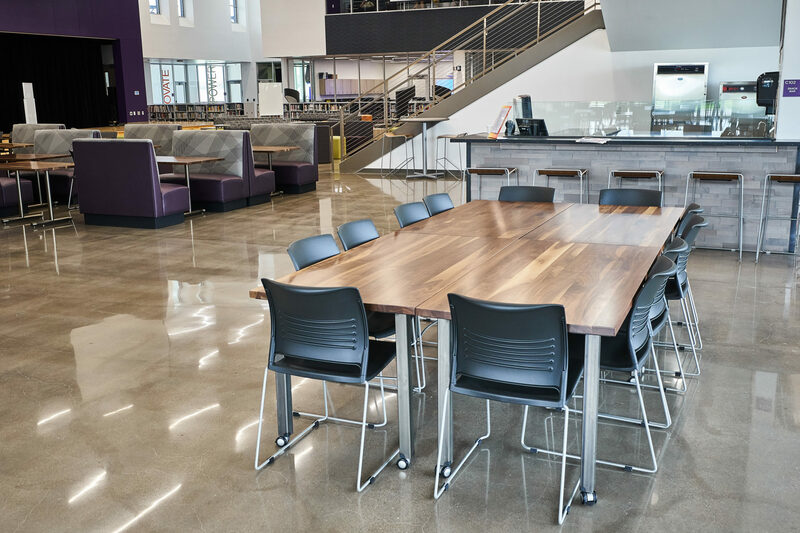 This creative space allows high school students to grab a cup of java and enjoy a sense of community at these solid wood TruePlank Table Tops on natural steel frames from Furniture Lab paired with KI Strive stools. Visible in the background are additional Furniture Lab booths & tables and Encore Wake stools. 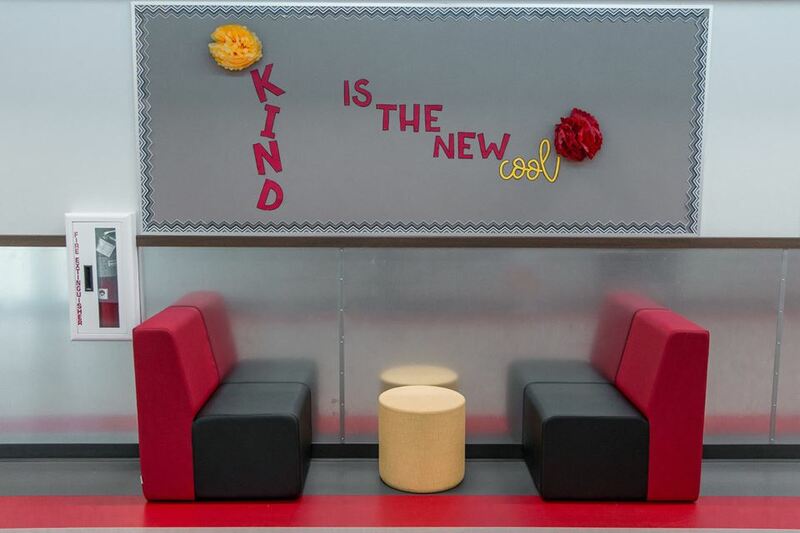 Shout out to North Creek Elementary for their “Kind is the New Cool” attitude, featuring some Fomcore soft seating products! 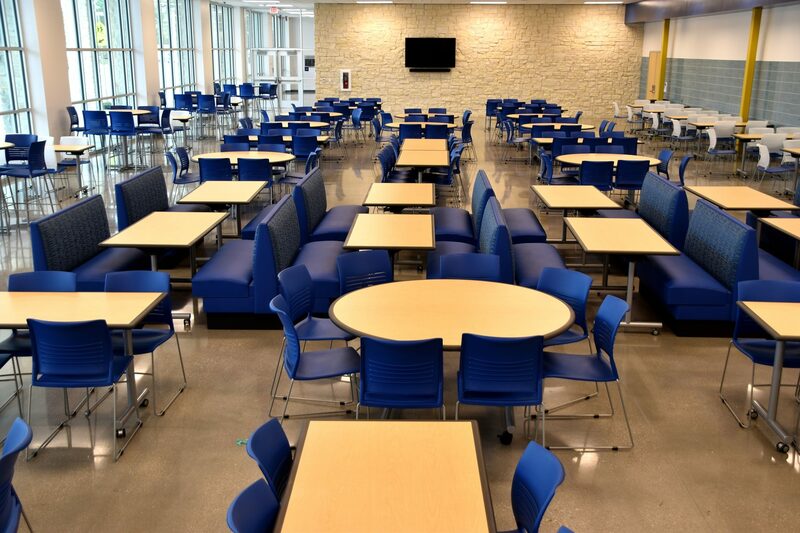 Sophisticated multi-functional space serves grade K-12 during lunchtime, accommodates after school programs, and reconfigures for special events. 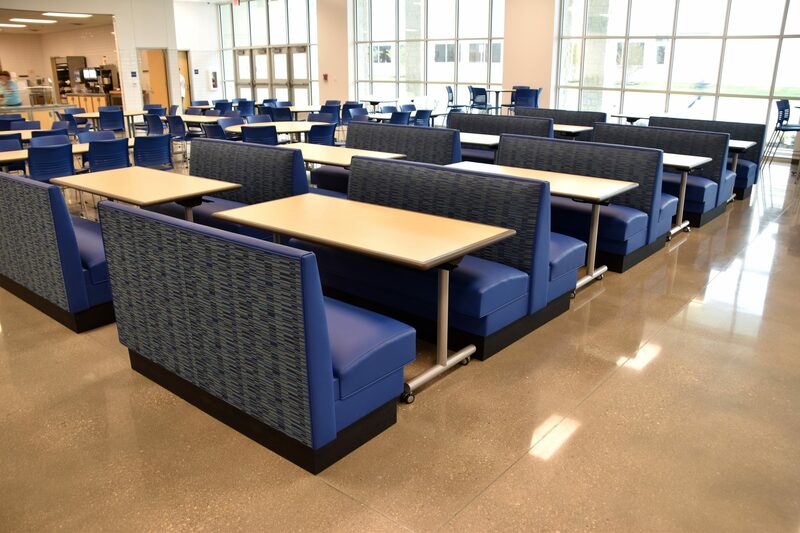 Booths & tables by Furniture Lab, chairs & stools from KI. 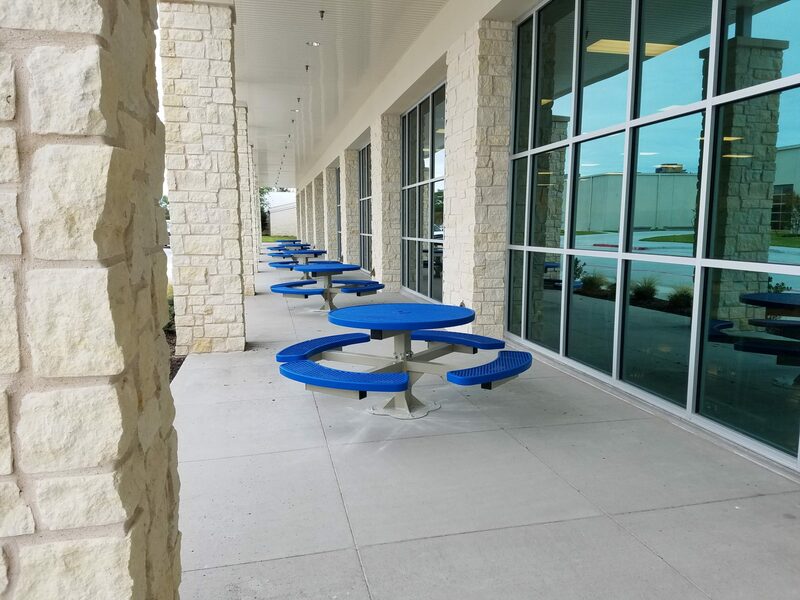 The indoor vibe extends to the adjacent student patio featuring Webcoat surface mounted tables in complementary colors. 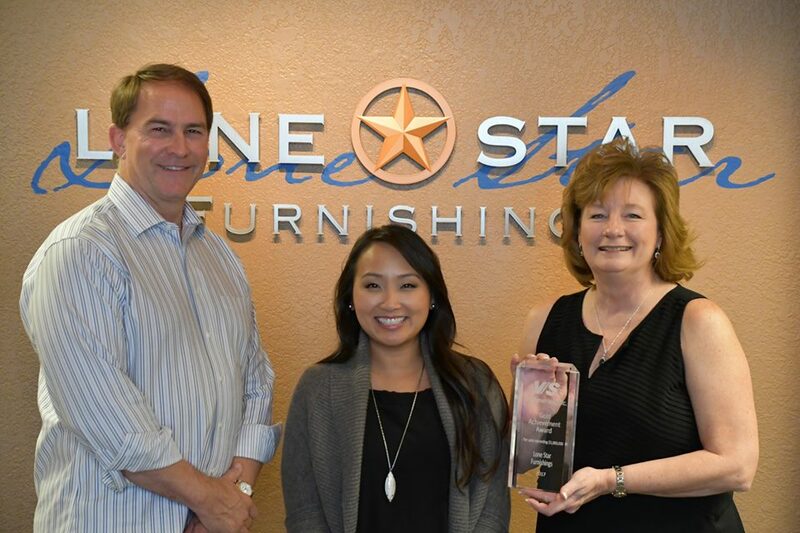 Lone Star Furnishings received a top sales award for 2017 from VS America and to celebrate VS hosted the local members of the team to a delicious dinner.